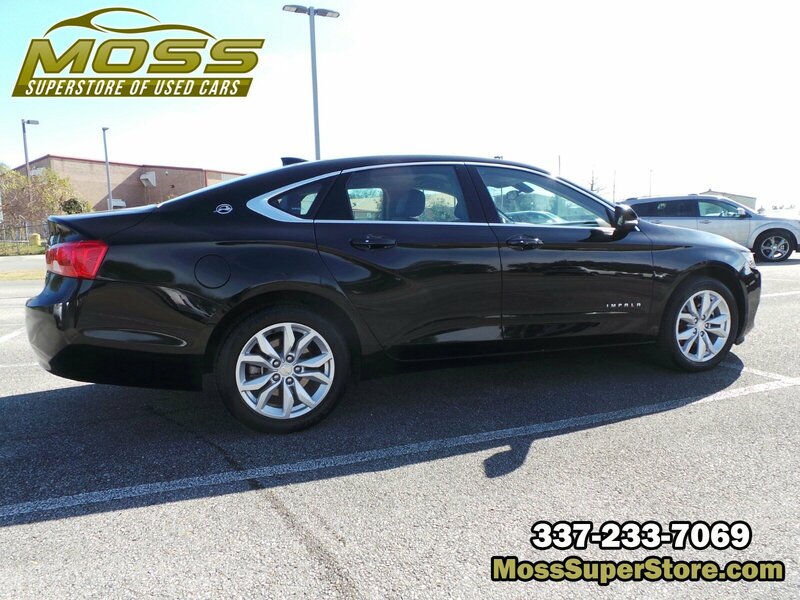 WHEELS, 18 (45.7 CM) PAINTED ALLOY (STD), TRANSMISSION, 6-SPEED AUTOMATIC, ELECTRONICALLY-CONTROLLED WITH OVERDRIVE, TIRES, P235/50R18 ALL-SEASON, BLACKWALL (STD), SEATS, FRONT BUCKET (STD), MOSAIC BLACK METALLIC, LT PREFERRED EQUIPMENT GROUP Includes Standard Equipment, JET BLACK/DARK TITANIUM, PREMIUM CLOTH/LEATHERETTE SEAT TRIM, EXHAUST, DUAL STAINLESS-STEEL WITH HIDDEN, TURNED-DOWN TIPS, ENGINE, 3.6L DOHC V6 DI WITH VARIABLE VALVE TIMING (VVT) (305 hp [227.4 kW] @ 6800 rpm, 264 lb-ft of torque [356.4 N-m] @ 5200 rpm), BATTERY, 70AH, MAINTENANCE FREE WITH RUNDOWN PROTECTION, HEAVY-DUTY 512 COLD-CRANKING AMPS. 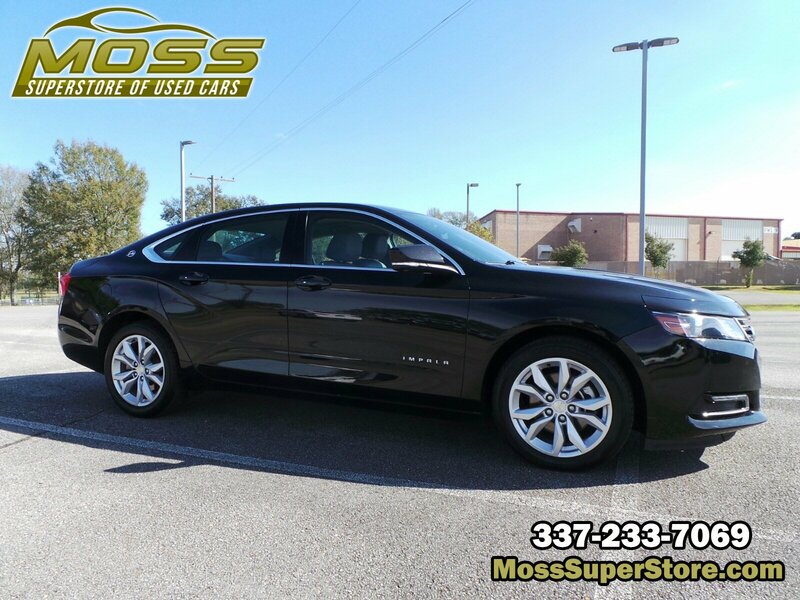 This Chevrolet Impala has a powerful Gas/Ethanol V6 3.6L/217 engine powering this Automatic transmission. 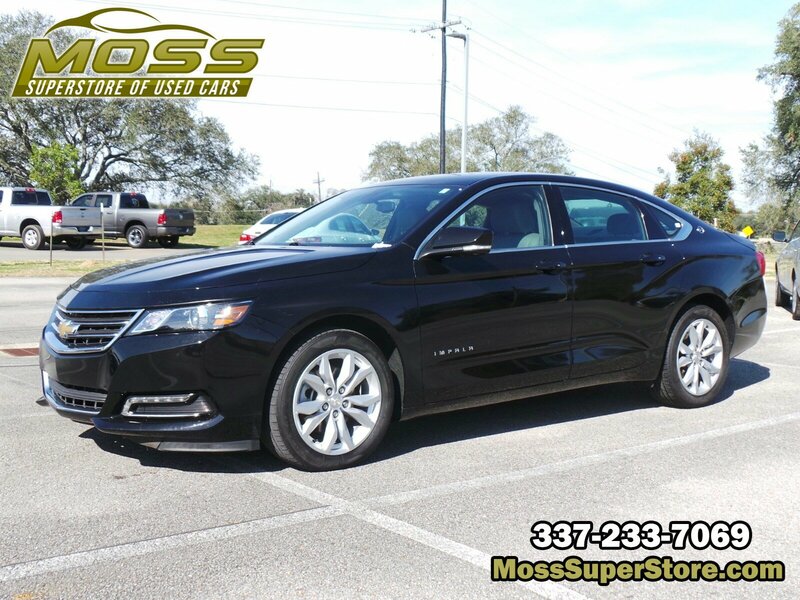 *This Chevrolet Impala LT Has Everything You Want *AXLE, 2.77 FINAL DRIVE RATIO, AUDIO SYSTEM, CHEVROLET MYLINK RADIO WITH 8 DIAGONAL COLOR TOUCH-SCREEN, AM/FM STEREO with seek-and-scan and digital clock, includes Bluetooth streaming audio for music and select phones; voice-activated technology for radio and phone; featuring Android Auto and Apple CarPlay capability for compatible phone and Shop with the ability to browse, select and install apps to your vehicle. 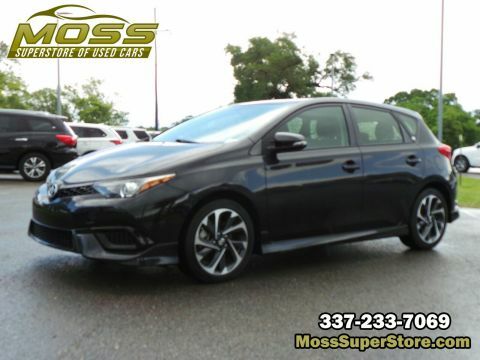 Apps include Pandora, iHeartRadio, The Weather Channel and more (STD), Wipers, front intermittent, Windows, power with Express-Down on all, Window, power with driver Express-Up and Down, Wheels, 18 (45.7 cm) painted alloy, Wheel, compact spare, 17 (43.2 cm) steel, Visors, driver and front passenger illuminated vanity mirrors, Vent, rear console, air, Trunk release, power located inside on instrument panel left of steering wheel, Trunk opening touch pad, Transmission, 6-speed automatic (Included and only available with (LCV) 2.5L engine. 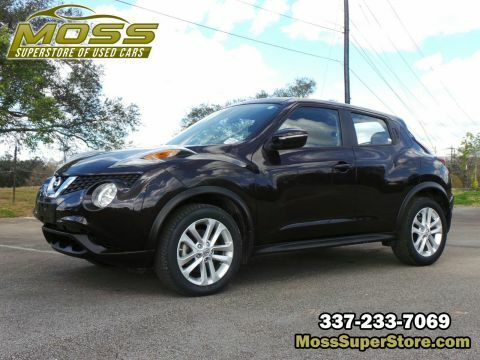 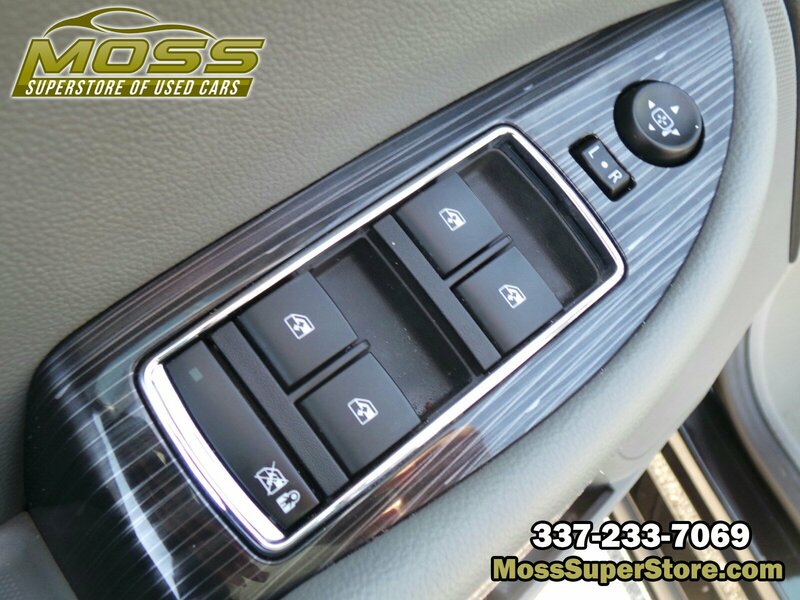 ), Traction control, Tool kit, road emergency, Tires, P235/50R18 all-season, blackwall, Tire, compact spare, T125/70R17, Theft-deterrent system, Suspension, rear 4-link, Storage, innovative, hidden behind 8 diagonal touch screen with valet-mode lockable, dedicated umbrella storage in front door and hidden storage in trunk, Storage compartment, front, uplevel with cover. 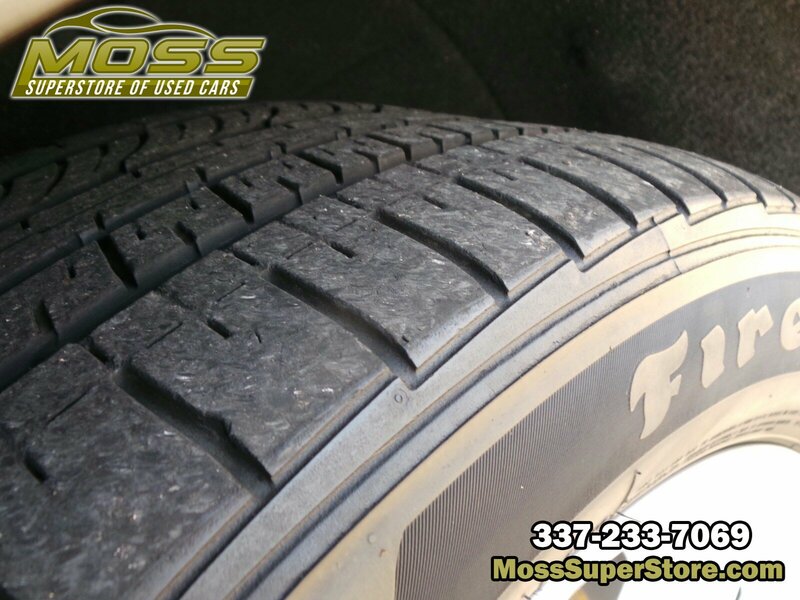 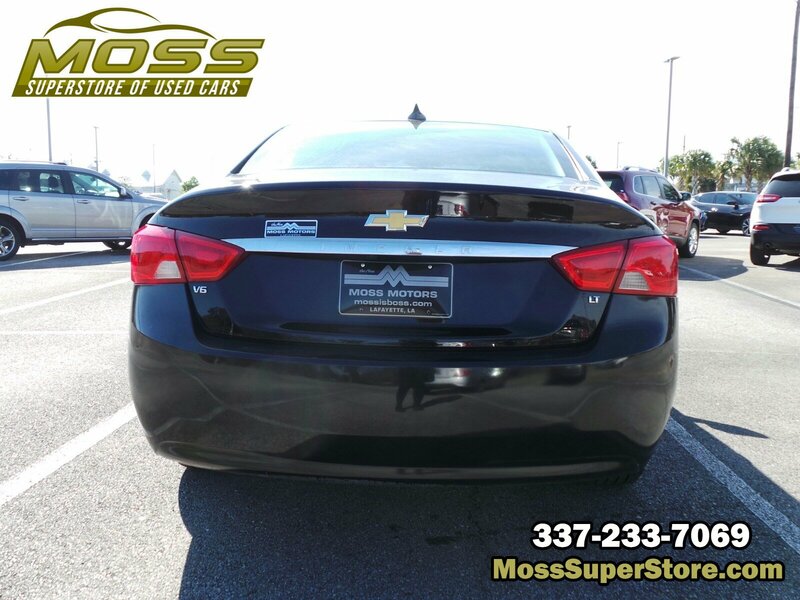 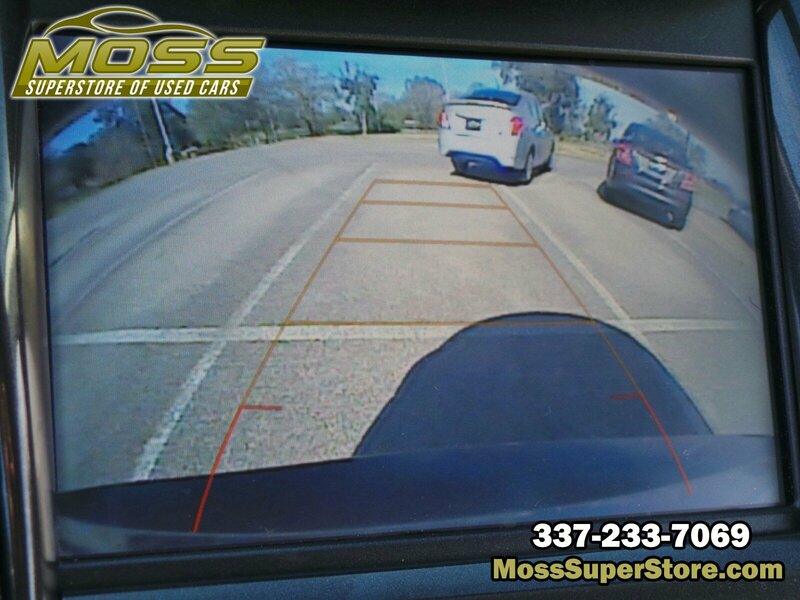 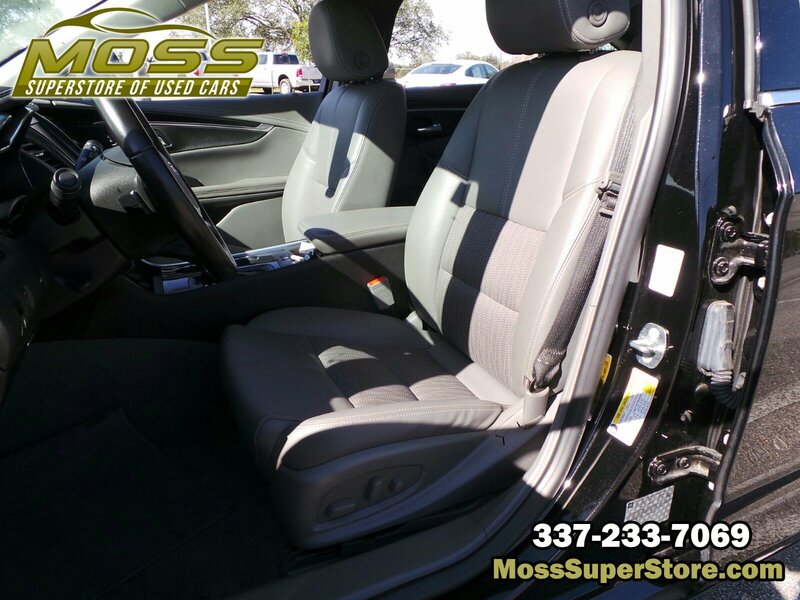 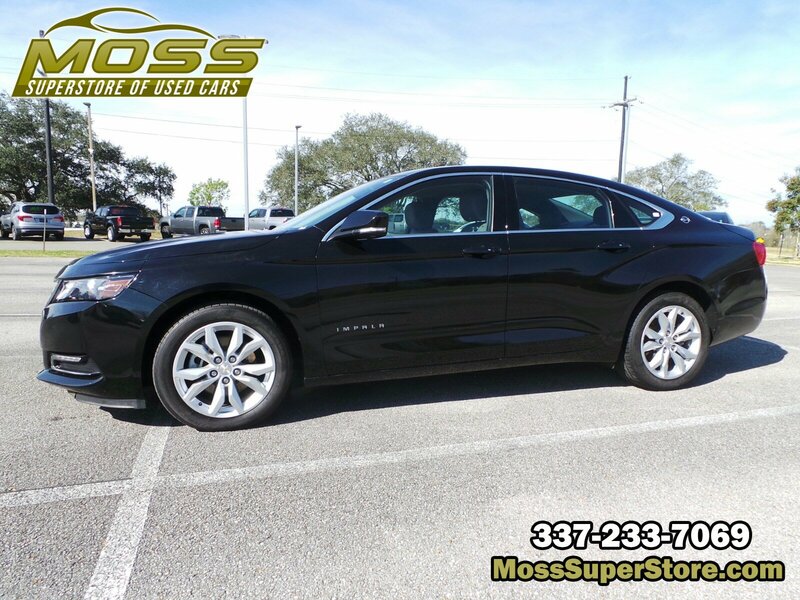 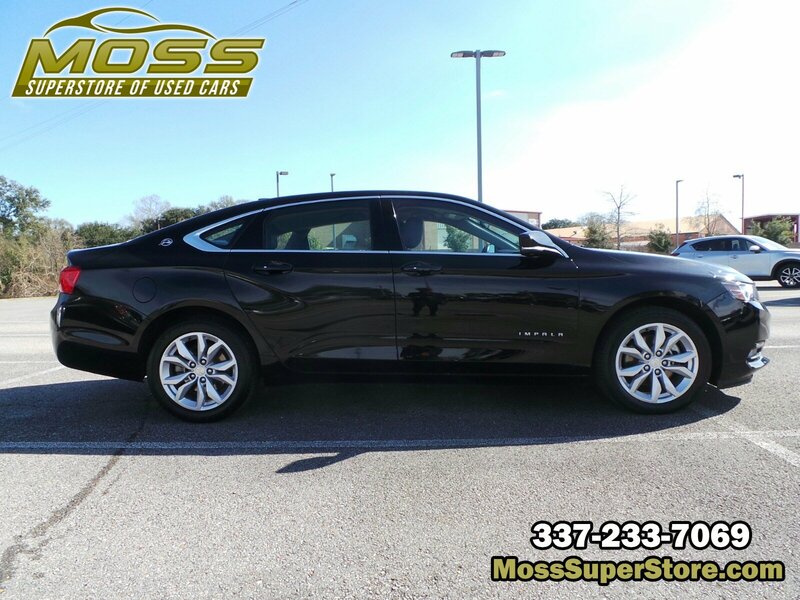 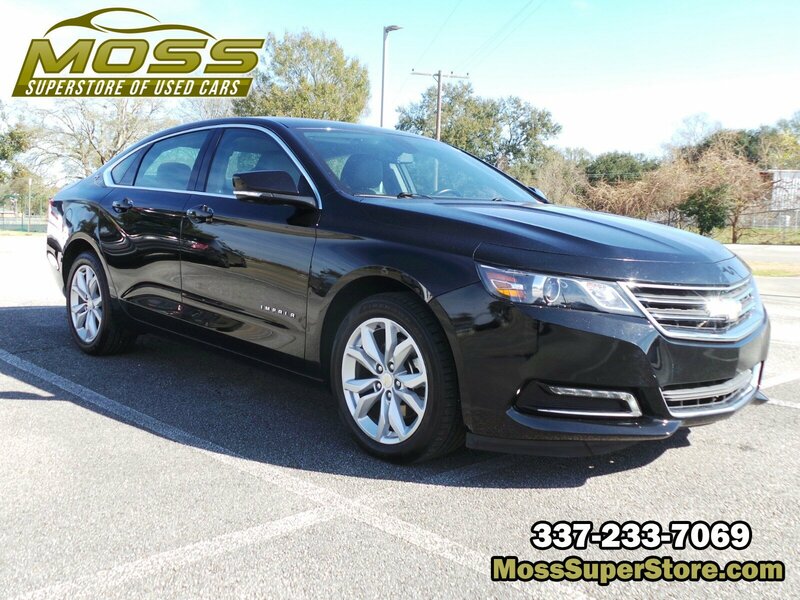 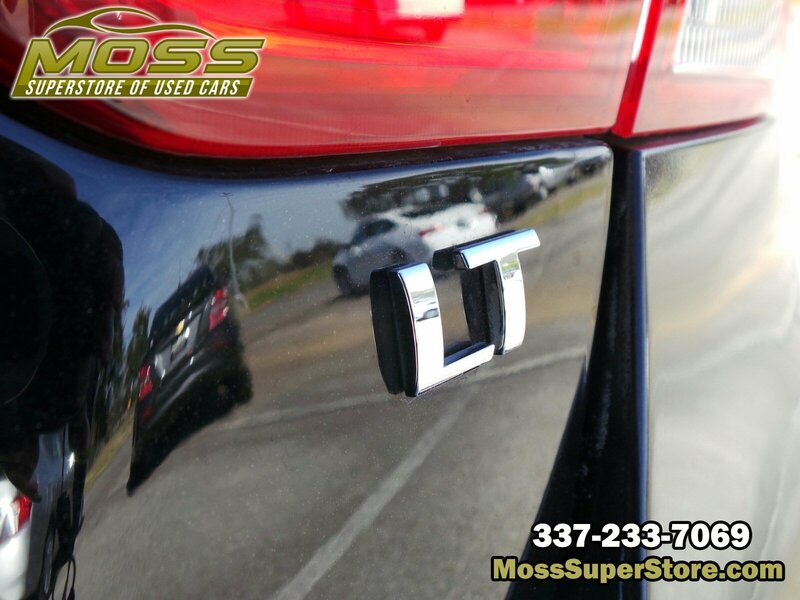 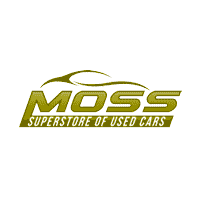 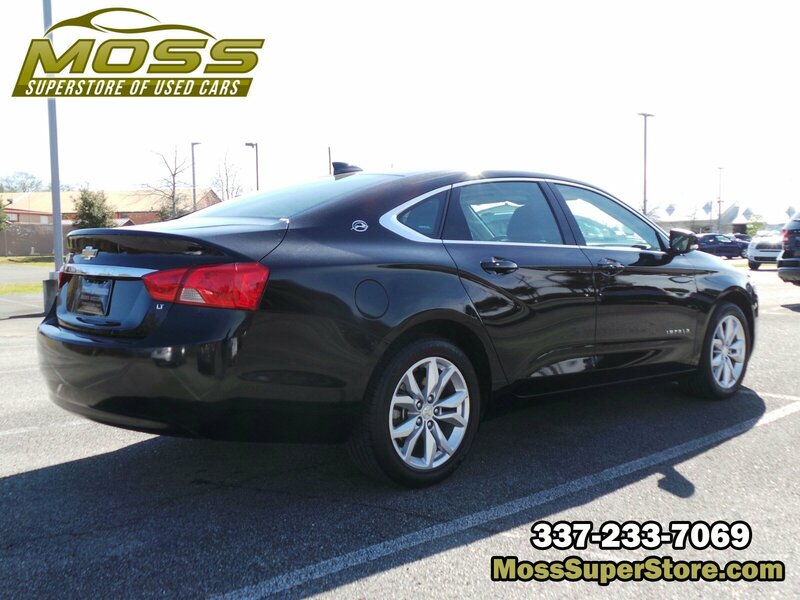 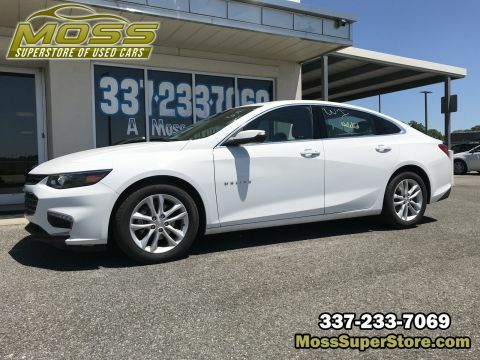 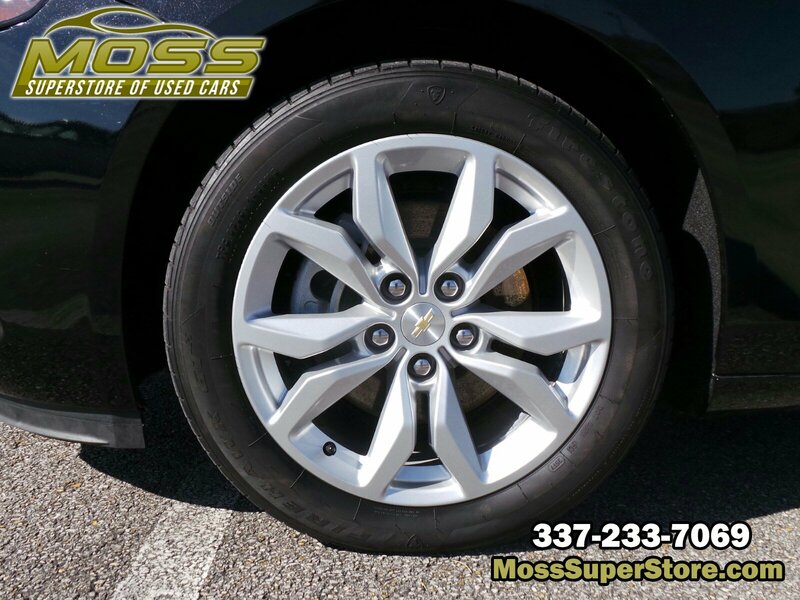 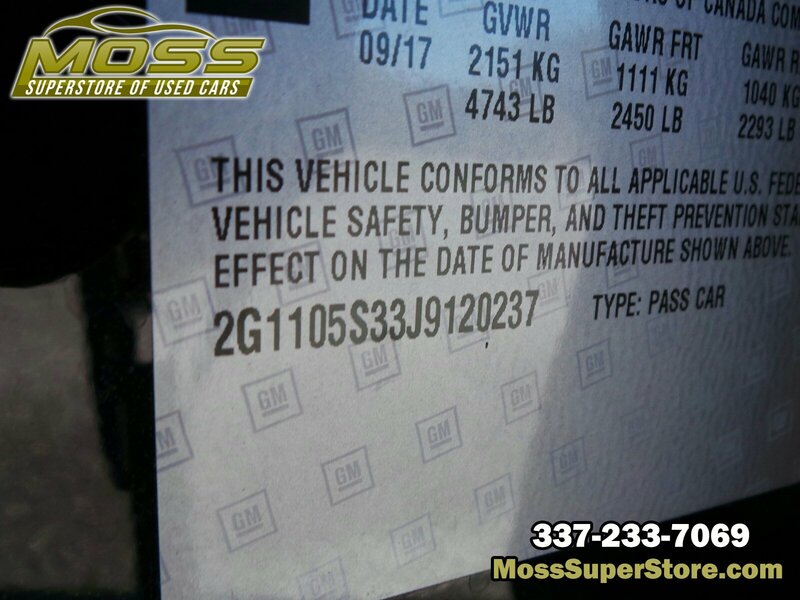 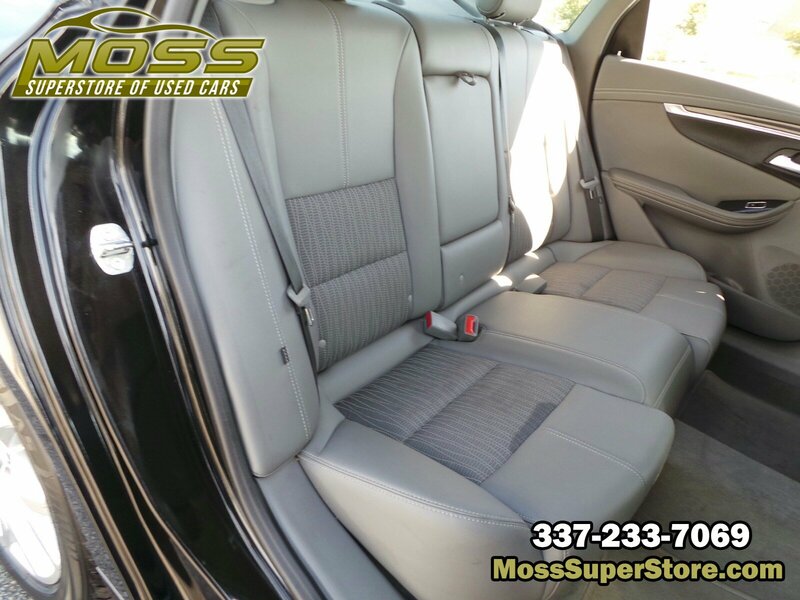 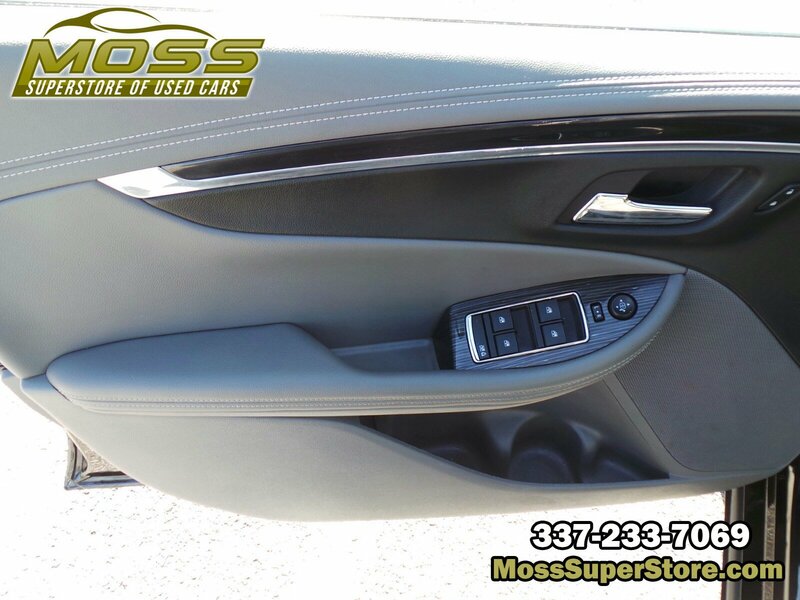 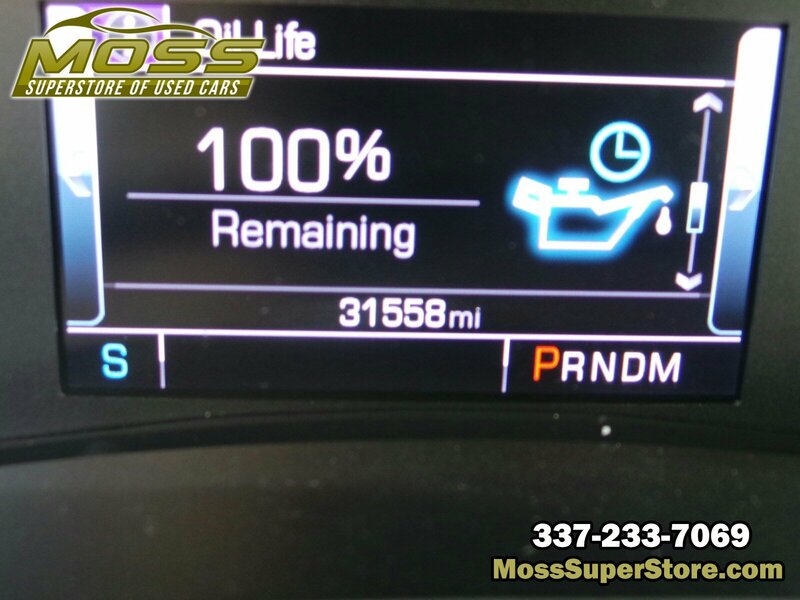 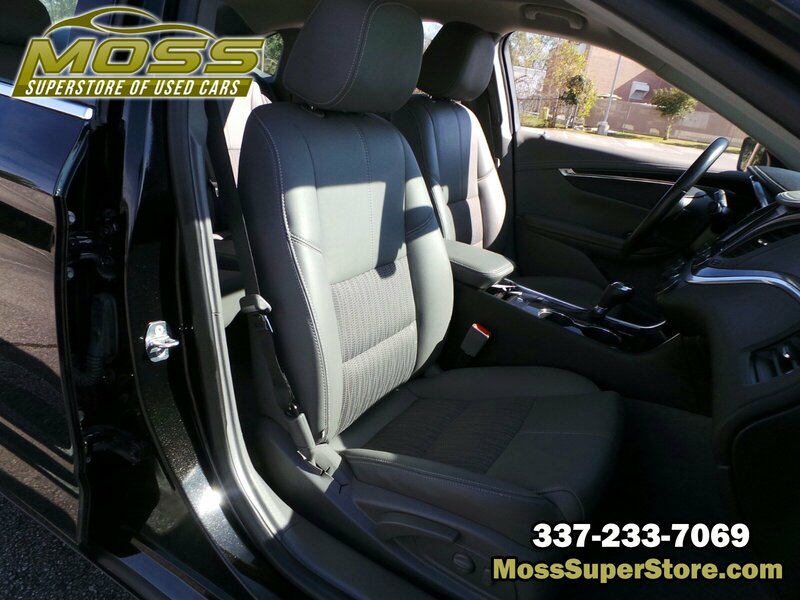 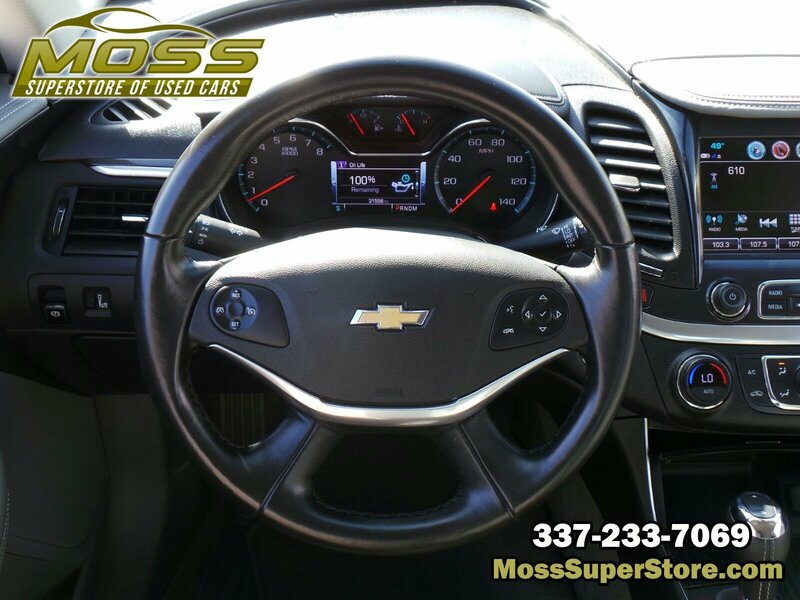 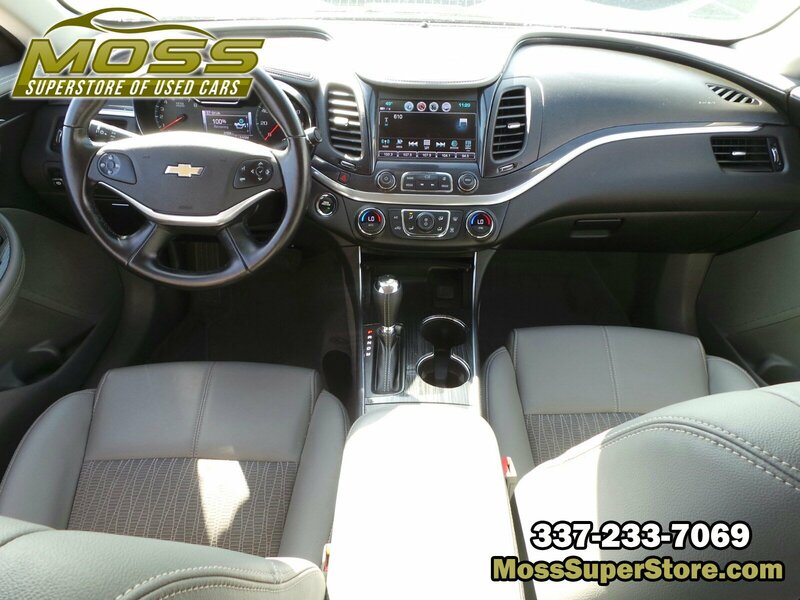 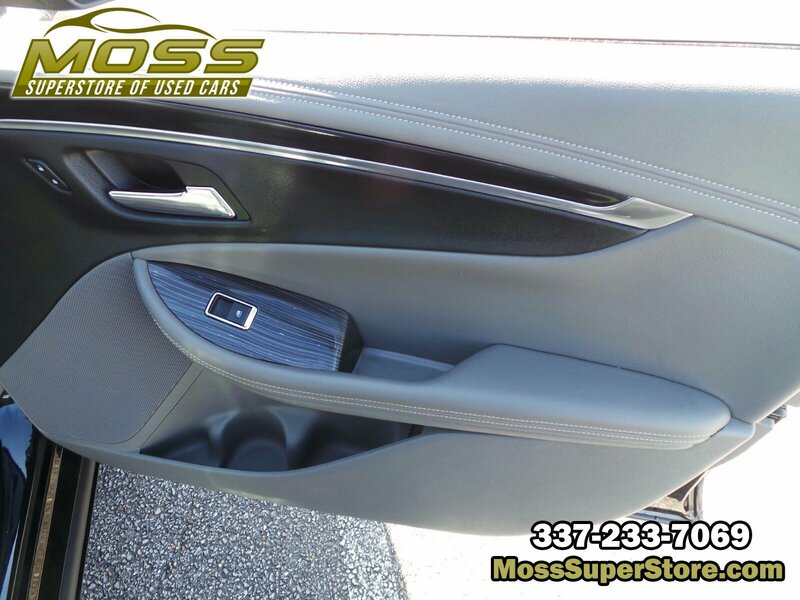 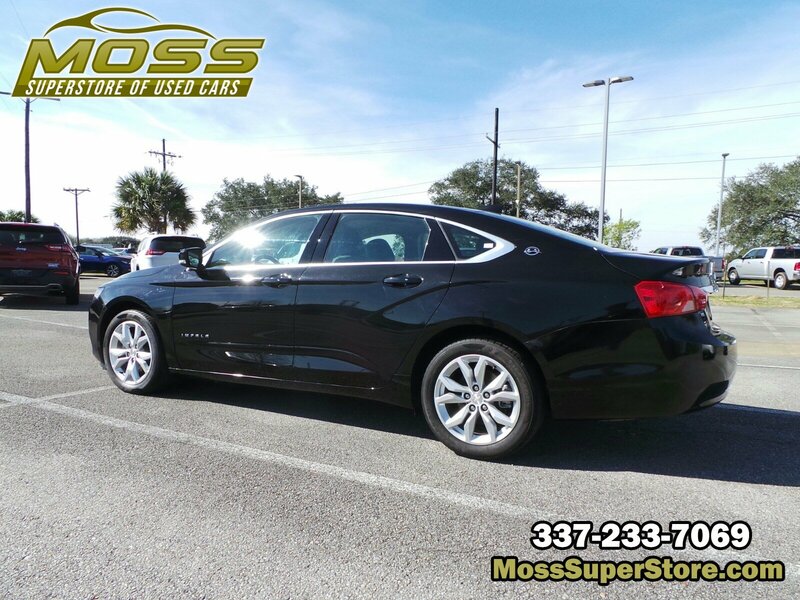 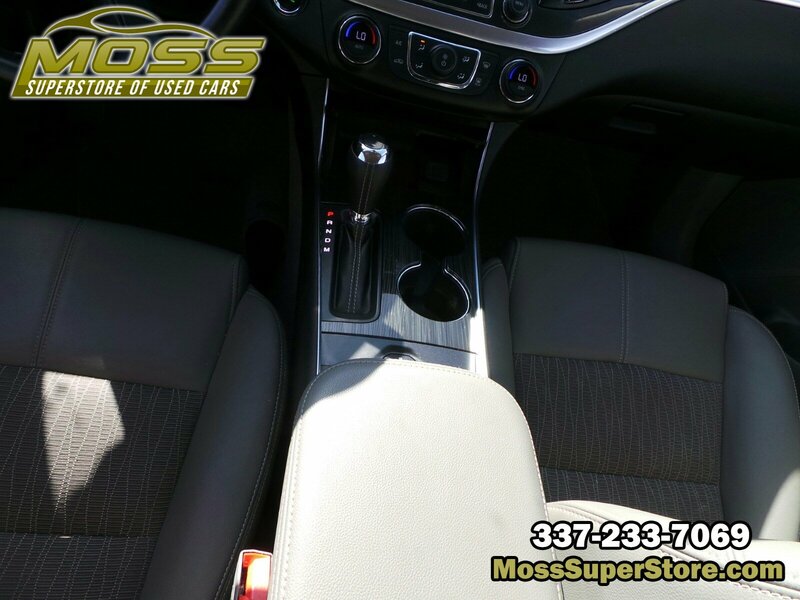 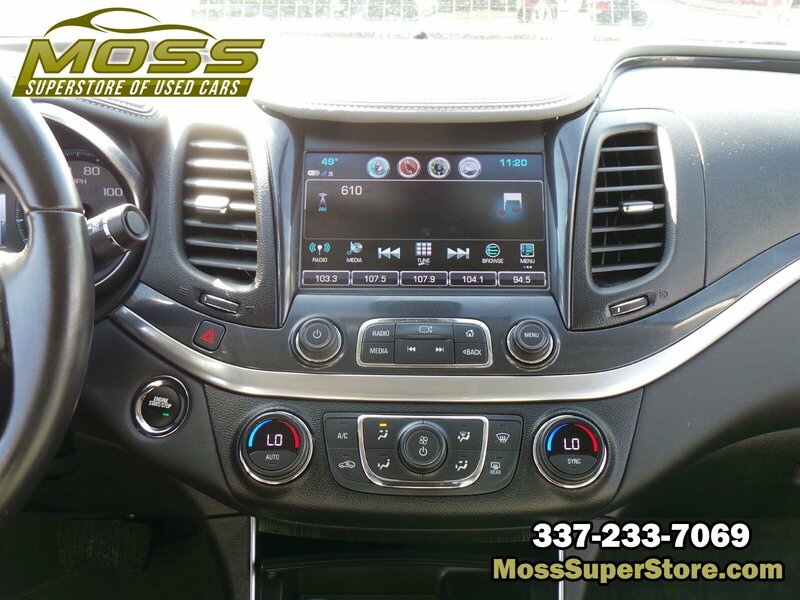 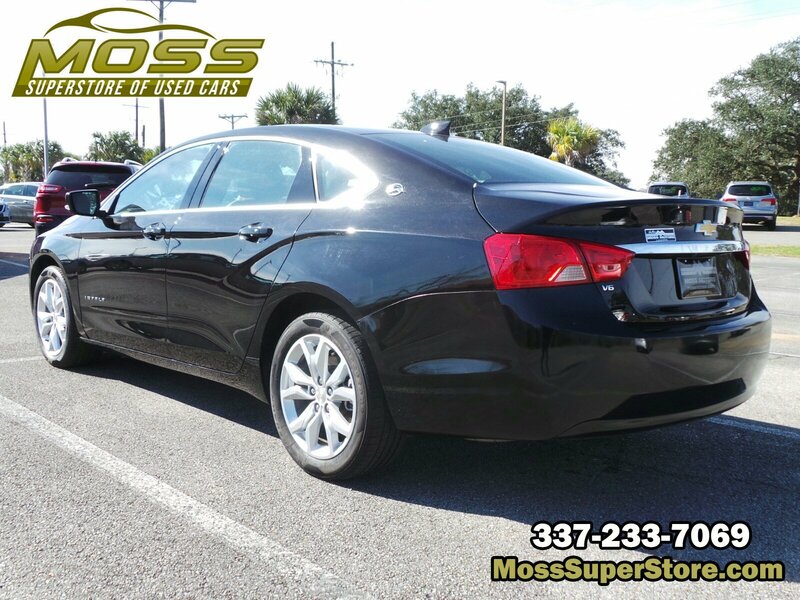 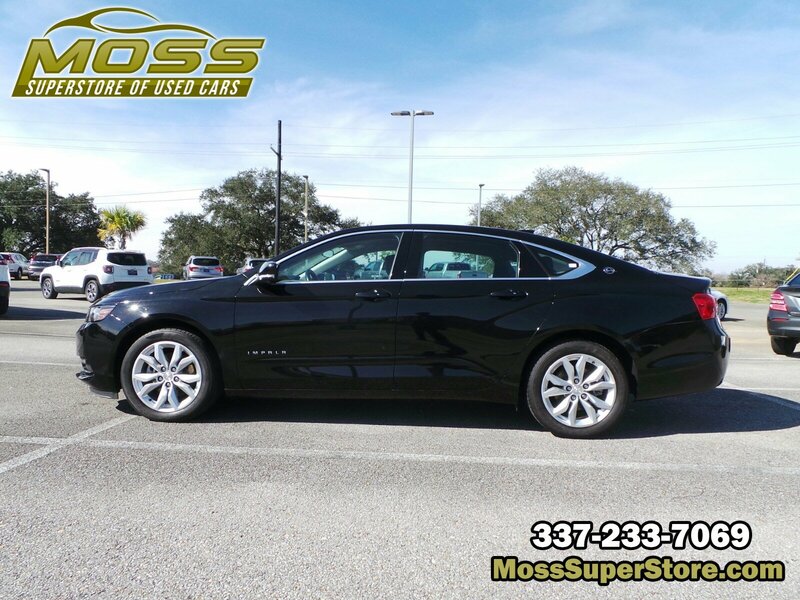 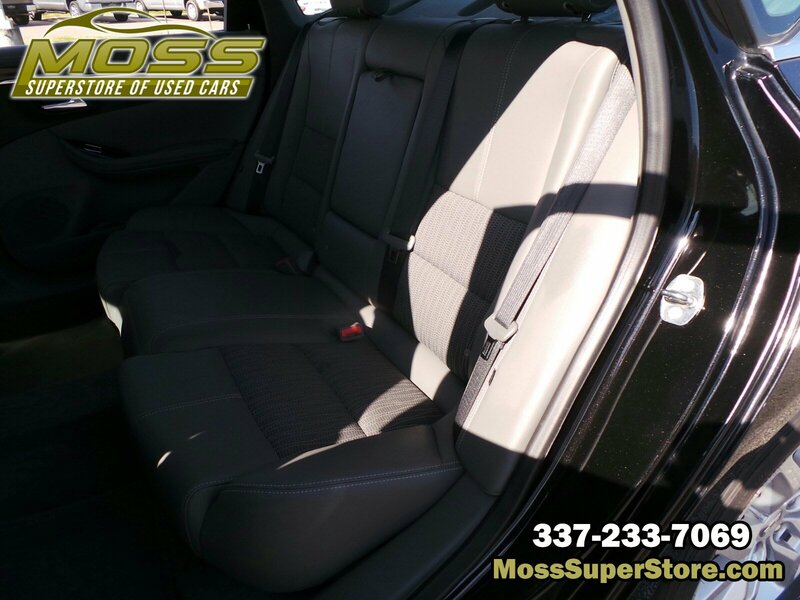 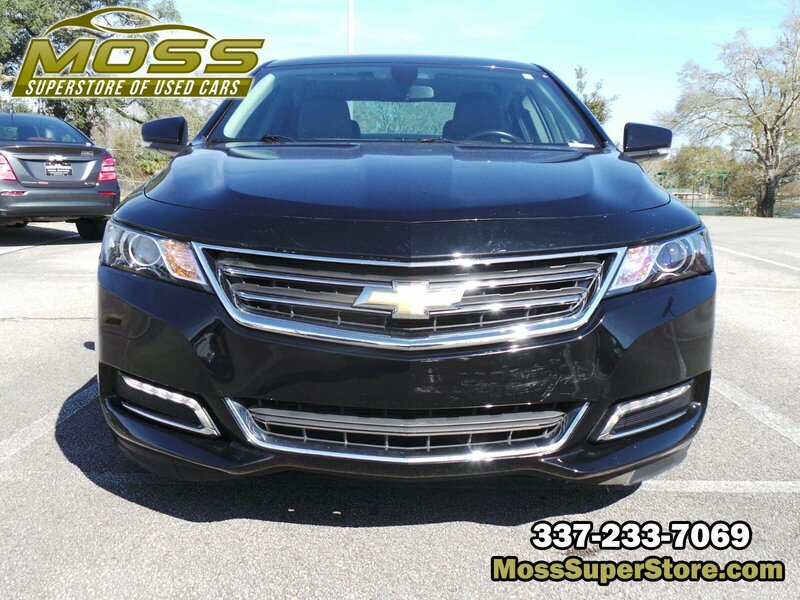 * Visit Us Today *A short visit to Moss Used Super Store located at 1545 SE Evangeline Thruway, Lafayette, LA 70508 can get you a reliable Impala today!